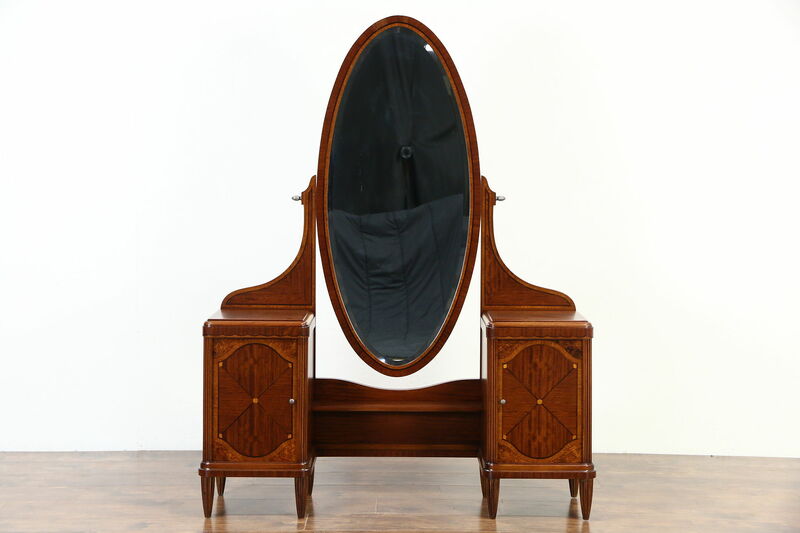 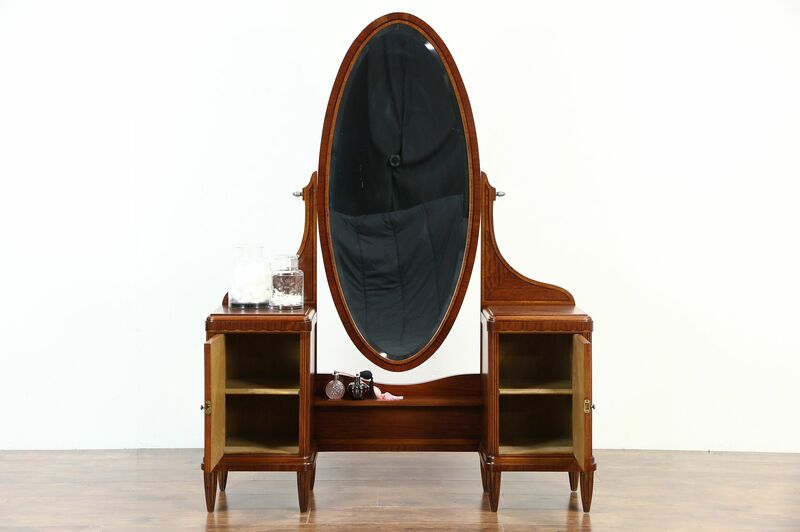 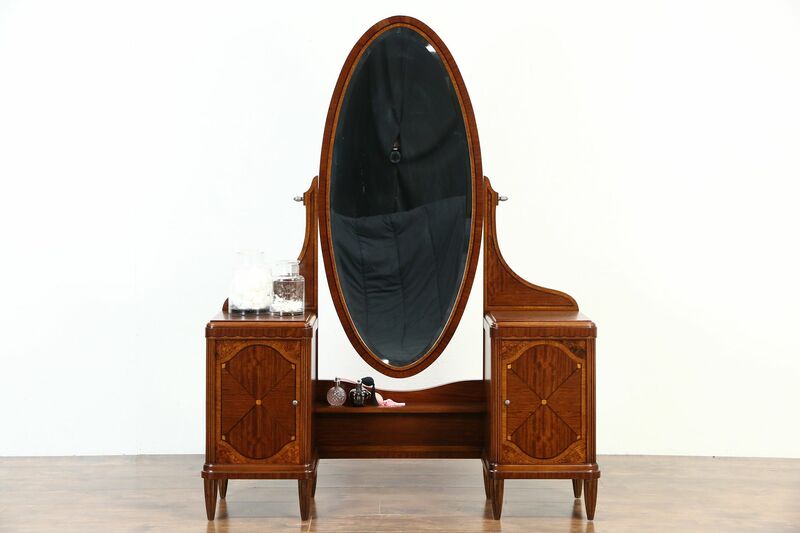 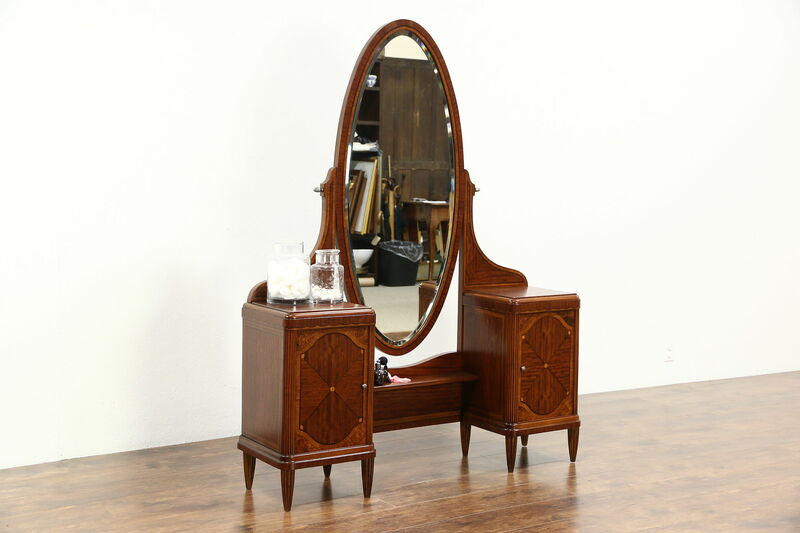 A vanity or dressing table with a swivel dressing mirror dates from the Art Deco period about 1925, hand crafted in England. 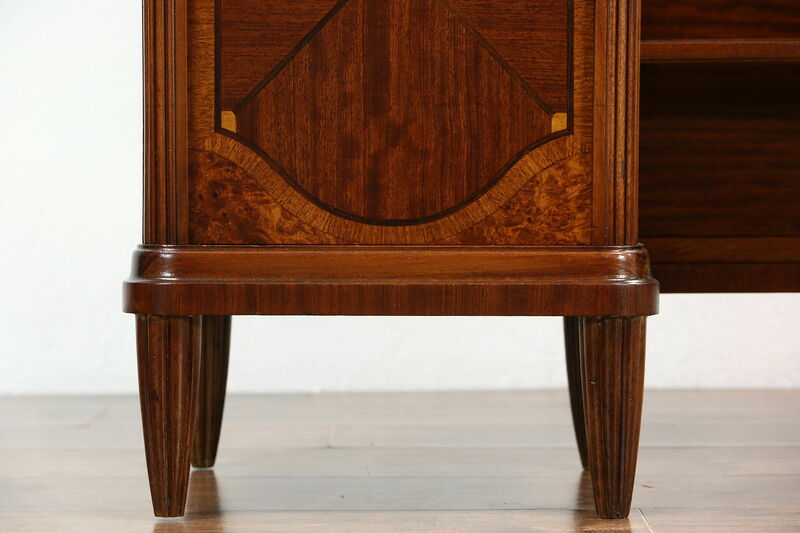 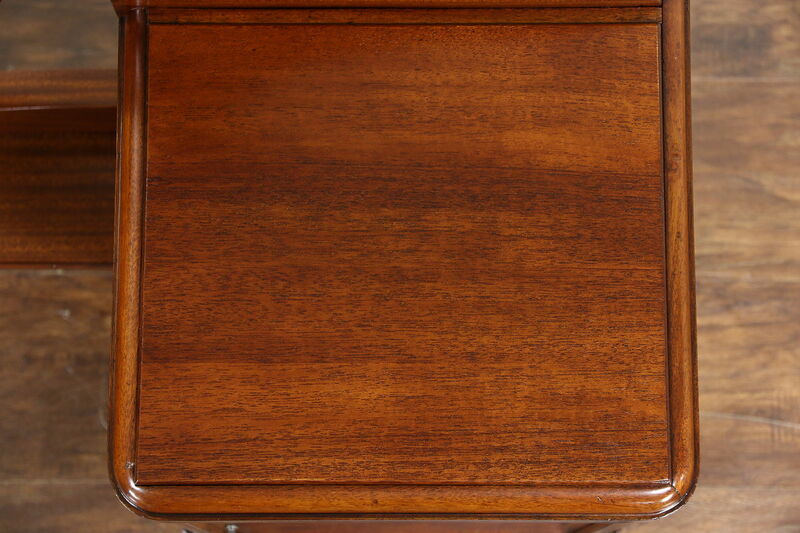 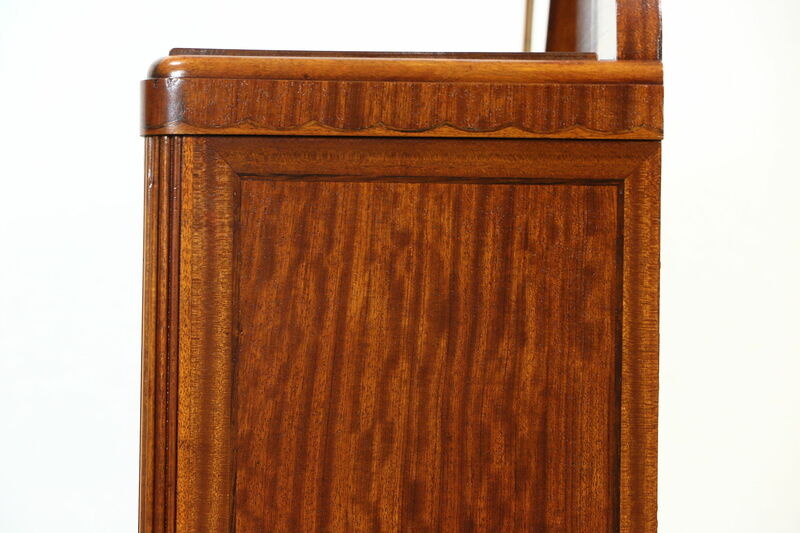 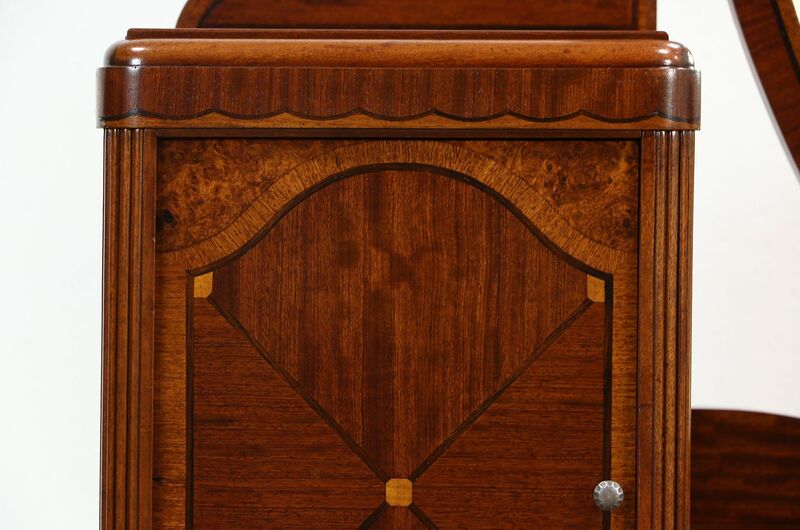 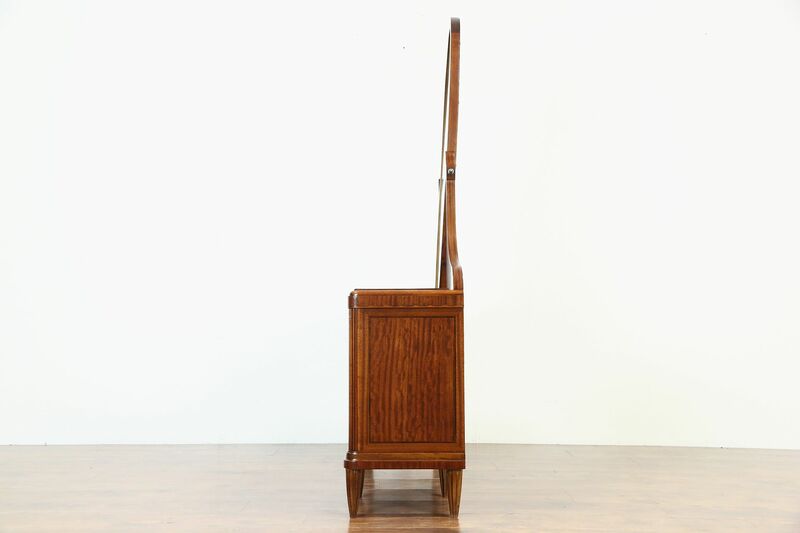 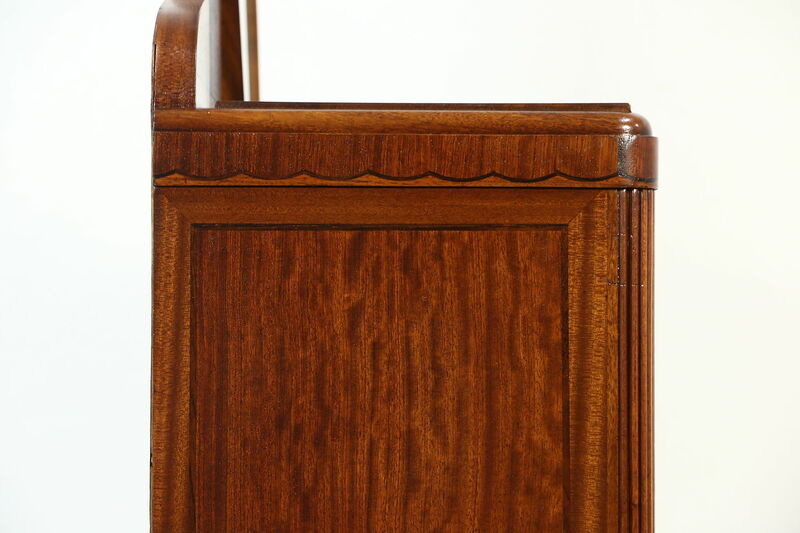 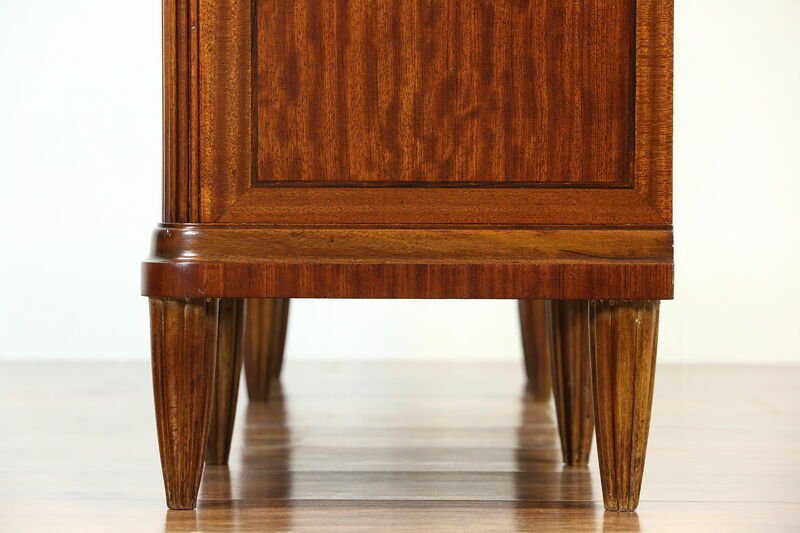 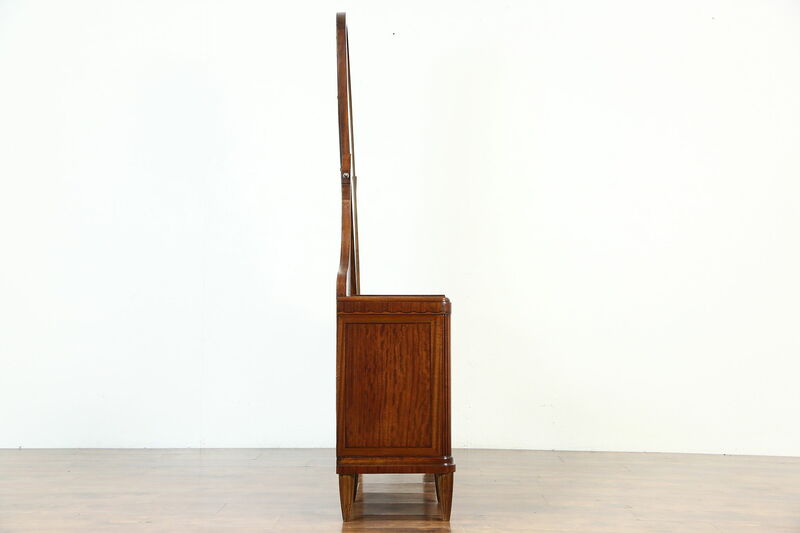 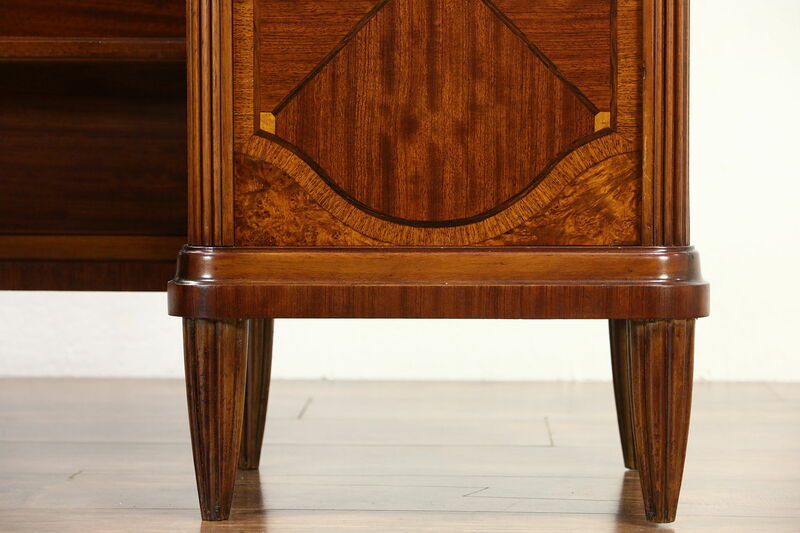 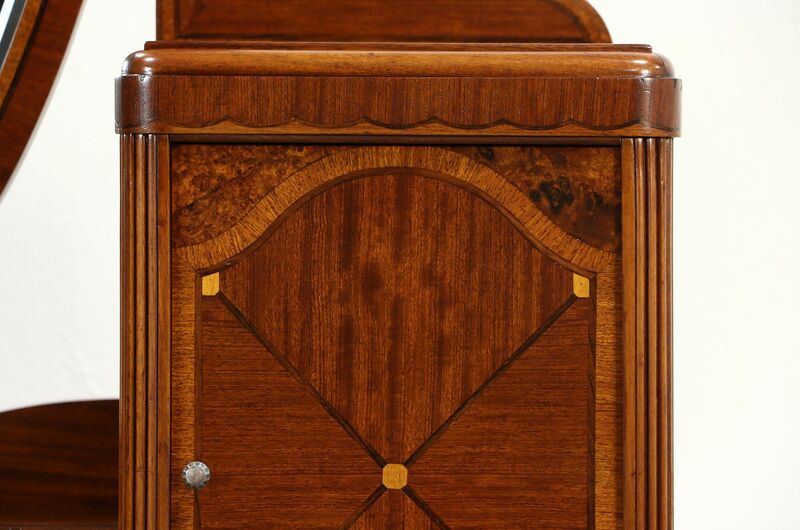 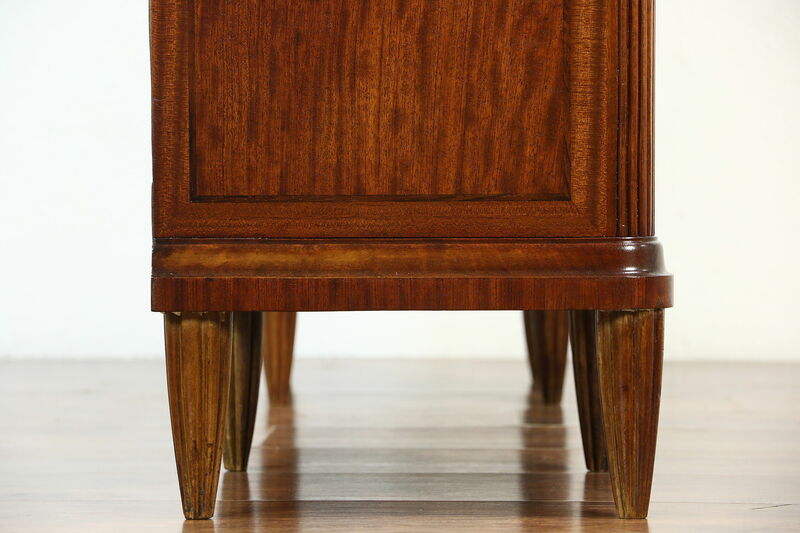 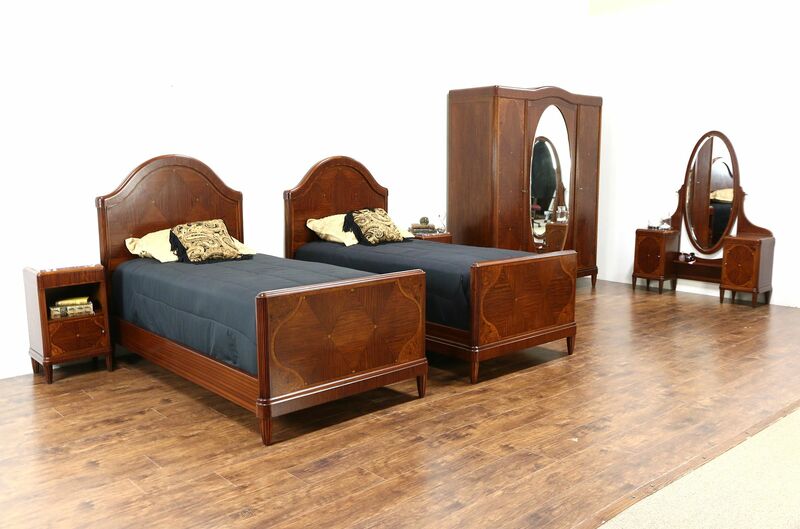 Mahogany is inlaid with intricate rosewood, ebony and burl marquetry, the renewed finish is in excellent condition. 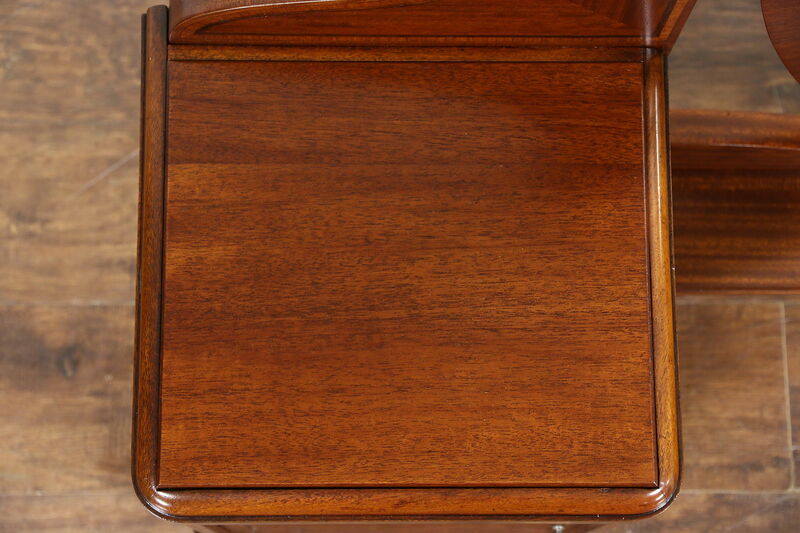 There are tiny shrinkage separations from age, see photos. 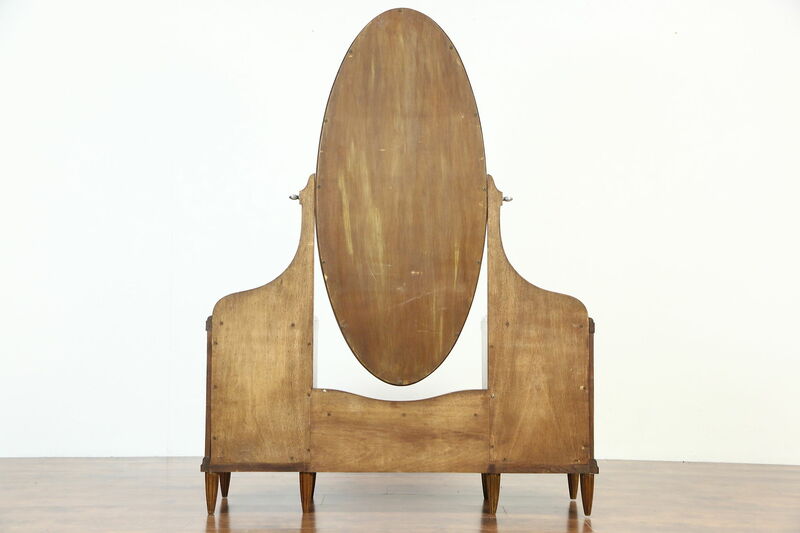 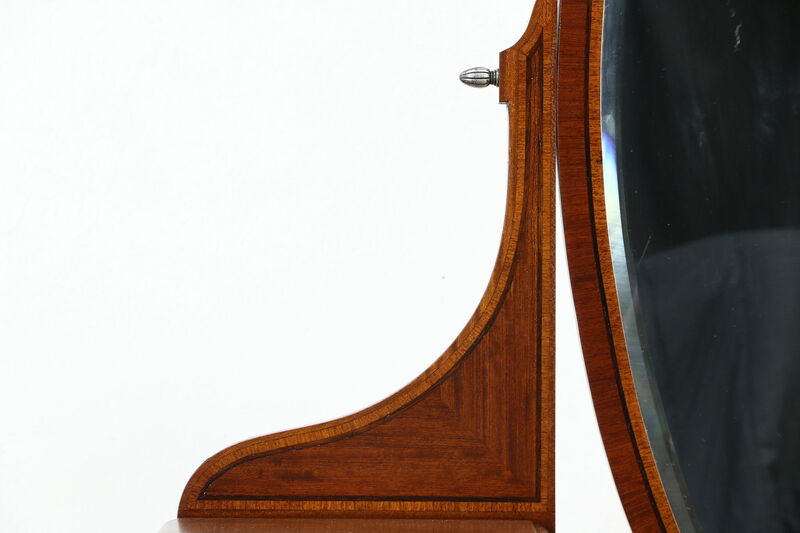 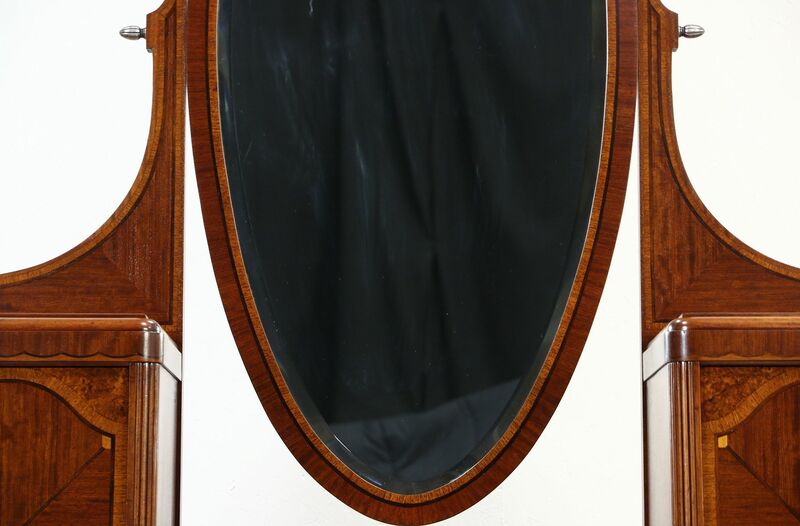 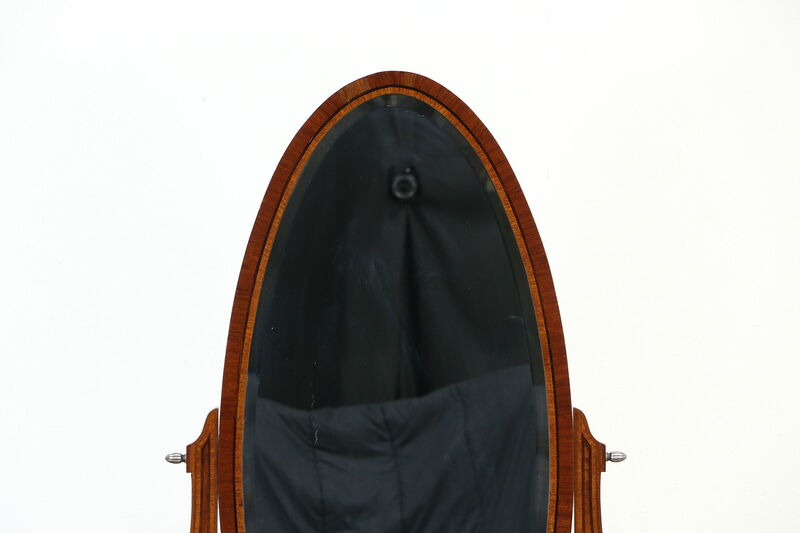 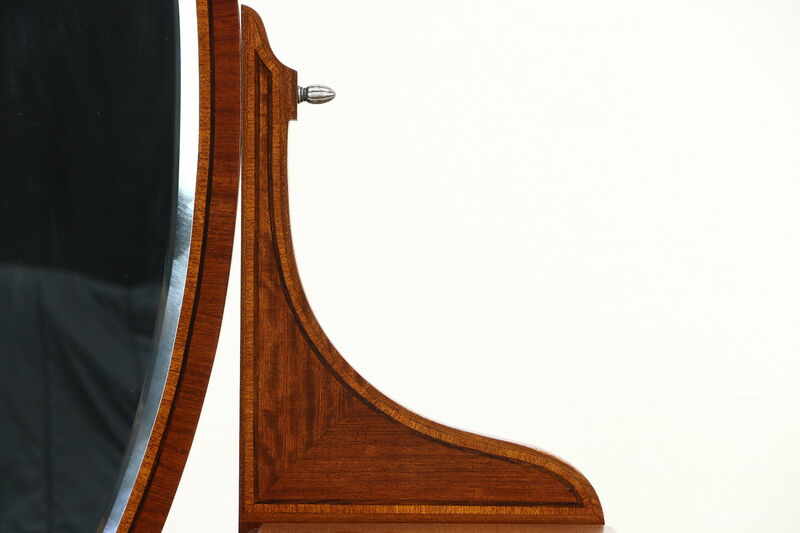 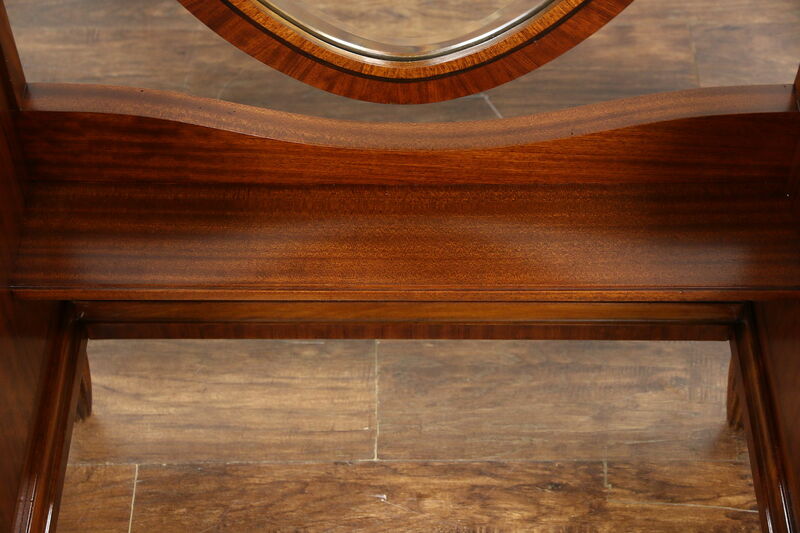 The oval mirror has a wide bevel. 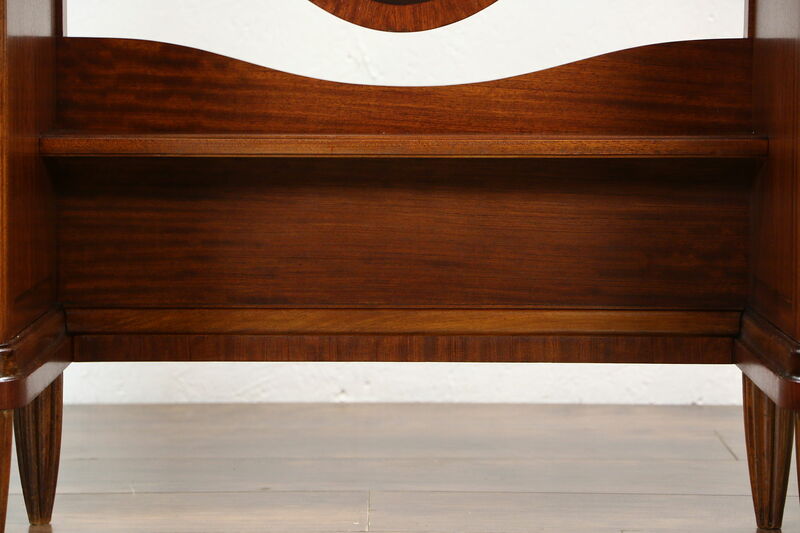 Measurements are 52" wide, 14" deep and 67" tall.